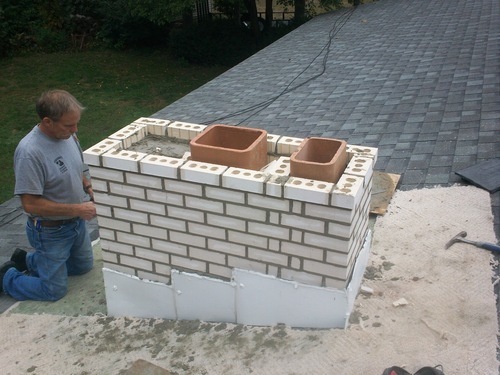 If your chimney is missing mortar in spots and the bricks are loose, you probably need at least a partial rebuild. Many times a clay chimney flue that is not in use (dummy flue) is filled in with concrete which causes major damage to the crown and chimney over time. Or if the crown of the chimney does not overhang, water and ice can destroy your chimney. Another problem is an unlined chimney or cracked flue tiles. In any of these cases, we would be happy to inspect the chimney and give you an honest and free estimate. Raise the safety, value, and beauty of your home today by rebuilding your chimney.